Sell your goods and services online via the Wix or Shopify selling platform. Take Orders Online Automatically Orders are handled by the website, leaving you to perform the dispatch and customer service. Scaleable to Grow with Your Business We can scale your online presence and increase capacity as demand increases. Mobile Responsive Naturally, all of the Wix and Shopify stores resize depending on the device the site is being viewed on. Take Debit and Credit Card Payments Allow your customers to pay with their debit or credit cards. Create Wix or Shopify Commerce Stores for Small Business - £199.99 (Plus Wix or Shopify Fees). Who can benefit from a Wix / Shopify store? Any business or individual looking to create an online website which accepts credit card payments in exchange for goods or services can benefit from a Wix or Shopify store installation. What can the store do for me? Once you are up and running with an online store, you can offer your visitors your goods and services with a view to boosting any offline profit you are already making. Over time, you may be able to build up a mailing list of repeat customers who come back and buy from you again and again. What do I need to know to create a store myself? The option to create your own web store with Wix or Shopify is always going to be available. If you choose this route, you will need to learn the basics of the relevant online editors provided by the service you choose. Whilst many people find this easy enough, there are people who do not have the time to get to grips with the software and prefer to leave this work to an agency. Once the store has been created, it will be up to you to maintain the products / pricing / shipping costs / reporting / site layout changes etc. This is the case whether you choose to take advantage of our setup service or create the site by yourself. What's included in the £199.99 package? In essence we will be helping you to decide on your design layout then creating your website for you up to the point of loading the database with your products. At the end of the development cycle, you would have an online up, running and taking payments. The details of the store would be decided upon during meetings and correspondence. Configure your store with a great entry page which defines your own brand. Both Wix and Shopify stores are responsive on mobile devices - however we have found that Shopify sites are particularily adept in this respect. A contact form allowing your customers to write to you is incorporated as standard. Organise the requirements for collecting customer payments online via credit / debit card. We can sharpen up your product images and general website graphics (logo / sliders) to look professional and enticing. Add in your social media accounts so that customers can share the site - including product and collection pages. Add special offers and discounts to products for promotions and to attract new customers. Advise on collections structure and method of implementation. An administration section is provided allowing you to change the site and add / amend / remove products and maintain prices etc. To help you get seen in the search engines, we can tailor your main page content in a way which will attract the kind of visitor you are looking for. It is important to have a logo on a shopping website, we can work with you to create a memorable and relevant logo. Analytics, screens which will show you how many visitors your site gets and what they are looking at whilst online - plus much more. A blog can help your site by enabling you to add news / events / announcements / special offers etc. We can install a blog alongside your store for you. You might want to use your own domain name, this is an option available to you on either provider. 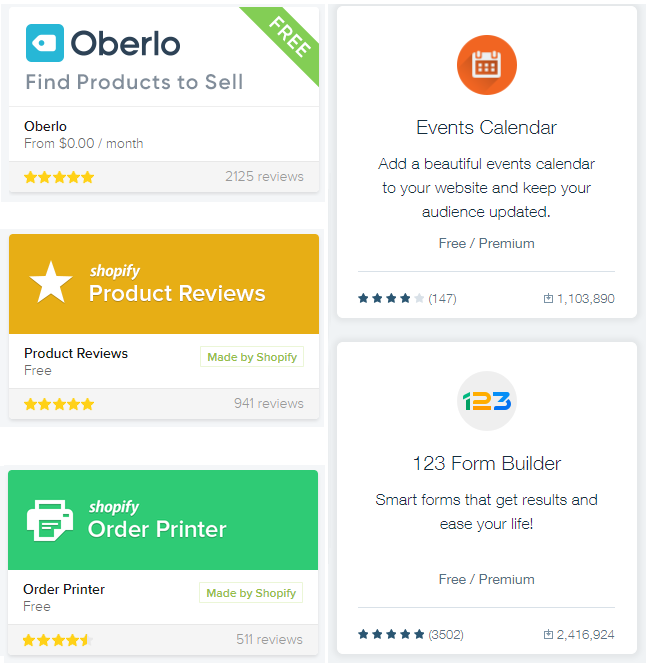 Both Wix and Shopify offer additional apps which you can plug in to your site to provide extra functionality and ease of business management.